The Epona features extreme mobility, even more so then the other Hovercraft, and relatively good armor for a vehicle of its size, giving a good pilot immense staying power. All variants have a high damage output, usually consisting of many small sized weapons combined. As the name "pursuit tank" suggests, it is near impossible to flee from an Epona that is set to destroy a wounded target. By the same token, this unit can easily flee a target if the battle seems to be turning south in favor of the enemy being attacked. Care must be taken when driving over uneven hilly ground to ensure that the craft stay upright. Unlike the Hephaestus, its turret is largely compact, without any of the weapons sticking significantly far enough out of it to provide a good tool for flipping oneself upright. Its main disadvantages include the rather weak turret armor that gives a good marksman the possibility to destroy the Epona through a component that it can't really protect or hide, and the bad performance in a direct stand-up firefight with similar priced assets, where it lacks the raw burst damage most other assets have. The Epona thrives in being able to circle around an enemy, disallowing any return fire unless the unit can get turned around to face the unit; because of this, this can be exploited by destroying the turret, hampering the typical tactic used. The Epona prime is a classic hit and run hover craft that mounts enough firepower and ammo to the already well armored chassis to allow it hunt down and kill any already wounded enemy or inflict enough damage before it has to retreat that the enemy unit can be killed easily or force them to go back to base. In order to do its job as a hunter the Epona mounts 4 CMPLs backed up by a CSSRM4 as a secondary weapon. The hovercraft mounts 5 heat sinks. The Epona A is a mobile LRM platform allowing it to easily sit on a hill, fire a volley, and slip behind cover before an enemy barrage hits it. 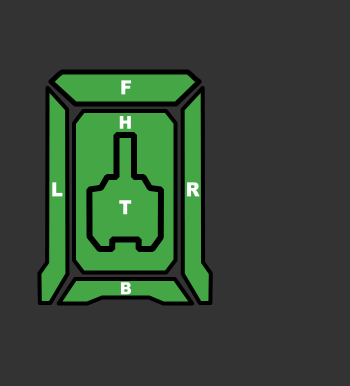 Two free tons for ammo allow this variant field longevity, provided the pilot is careful and maintains distance to the target. While equipped with the normal Epona speed, this variant especially must be careful that it doesn't flip as the smaller LRM box turret leaves it nearly impossible to right itself. As with all vehicle-mounted LRMs, the Epona A's LRMs arc upward rather than immediately and only forward like those models mounted on Clan mechs. The Epona B is a bit of a odd load out. Mainly meant for long range it mounts a CERPPC and LRM5.. Using its CERPPC to strike at long range and dashing behind cover to cool down or hide from return fire is able to strike quickly. Its four CERSBL spell death for any battle armor that chooses to pick on this variant, and give it some self defense from other assets. 6 heatsinks allow it to stay in the fight. The Epona C is similar to the prime variant as it is a great hunter and chaser. Unlike the prime, this variant has a single ATM6, backed up with three Clan ER Medium Beam Lasers. To help dissipate heat, it includes 5 Heat Sinks. It also chooses to do away with any extra electronics. This variant can quickly move into ATM range, and unload on a target. This variant is a solid middle-range asset that can help pull AA duty against VTOLs. The ATM's speed are useful in this regard. Thanks to its three CERMBLs it can comfortably sit at medium range and deal pin point damage to enemy units before moving into for the kill or flee due to return fire. The Epona D appears to be a hover equivalent to the former Puma D, sporting 4 Heavy Medium Laser. When combining the maneuverability with the 360° turret rotation, the job of landing a Heavy Laser on the same spot repeatedly is made that much easier. The usual problem surrounding the short range of the lasers is somewhat dampened due to the speed of the Epona chassis that they are mounted to. A long to extreme range variant, the E's main weapon is a HAG20. Four MG give it harassment potential against air units and enemy hovercraft, as well as BA repellent. The HAG is backed up by a LRM10, providing harassment against anything in range. While it packs an additional ton of ammo bin space, it has to rely on it's speed if anything gets close. The Epona F is a in your face, short ranged, powerful machine, that can really bring on the hurt. It's speed, GECM and EOptics see to that. Four CSPL and One ATM12(HE) give it precision and substantial firepower to anything that gets in it's way. Though with only 2 HS Pilots need to keep a close eye on their heat. Remember after 9 salvos your missiles run dry. Working in a Lance or Back Capping is idea for this unit. The G is especially useful against energy weapon heavy assets. Four Flamers combined with the Epona's usual speed can cause severe heat issues. A UAC10 backs up the flamers to punch holes in overheating reactors. Given that the flamers generate a decent amount of heat for the Epona itself, pilots need to be especially careful of their own reactor temperature. Make sure to fill the 2 tons of storage with extra ammunition to feed the hungry UAC10; while the Epona is fast and nimble, its speed is wasted having to return base to buy forgotten ammo. The Epona is a Clan Hovercraft released with the Beta 0.5.6 update. 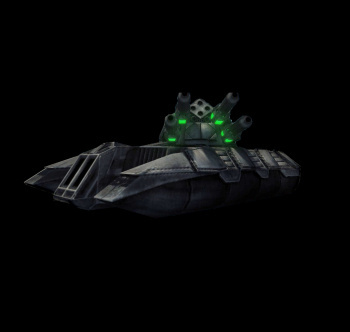 It is a very agile hovercraft that sports heavy weaponry and good armor for a vehicle of its size. Like the other hovercraft it has a '6th gear' that raises its maximum speed to impressive 150km/h, sacrificing the turning rate. The Epona Pursuit Tank is a 50 ton Omni Hovercraft very unique to Clans, build on heaviest chassis possible for combat hover. It's prime configuration is build around very strong attack potential - 4 Medium Pulse Lasers supported by SSRM4 launcher and 6 heat sinks give it massive hitting power for it's weight, though the armor is relatively weak for a 50 ton vehicle - barely 5 tons of protection. Still though as an hovercraft Epona rarely has to relay on every single ton of it's armor - cursing speed of 97km/h with flanking speed of 150km/h allow it to outrun almost any opponent. Epona was used by most elite warriors as a frontline unit deployed exclusively by the Clan Hell's Horses. This page was last edited on 22 March 2019, at 20:15.